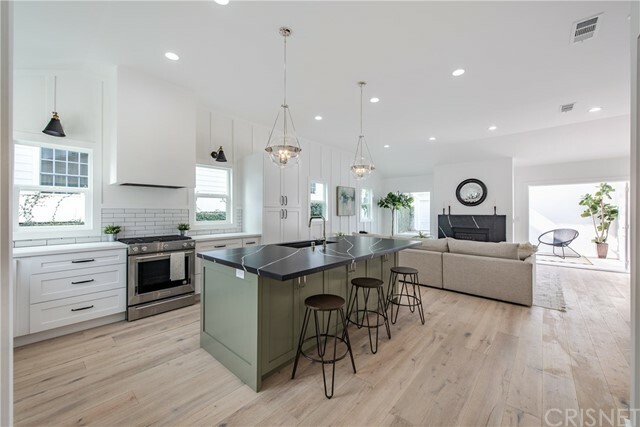 All Westchester homes currently listed for sale in Los Angeles as of 04/18/2019 are shown below. You can change the search criteria at any time by pressing the 'Change Search' button below. "A MUST-SEE BRAND-NEW BREATHTAKING MASTERPIECE located in coveted Kentwood area! This stunning 5 bedroom home is an entertainer's delight, offering exceptional craftsmanship and architectural details defined by sleek sophistication and warmth. Stepping through this idyllic beauty, you're introduced to an open layout, with a formal living and dining room. Stainless steel Wolf appliances, subzero fridge, dual sinks and dishwashers, a large center island and an oversized butler's pantry complete this perfect European-style chef's kitchen. The glass sliding doors in the family room allow for a seamless indoor/outdoor living, opening up to an impeccably manicured backyard showcasing a built-in BBQ bar area and sparkling saltwater pool. A luxurious master retreat has dual walk-in closets and a master bath fit for royalty.Custom fixtures, wood clad windows, & hardwood flooring can be seen throughout the estate. Elevated ceilings and expansive windows bring in an abundance of light. 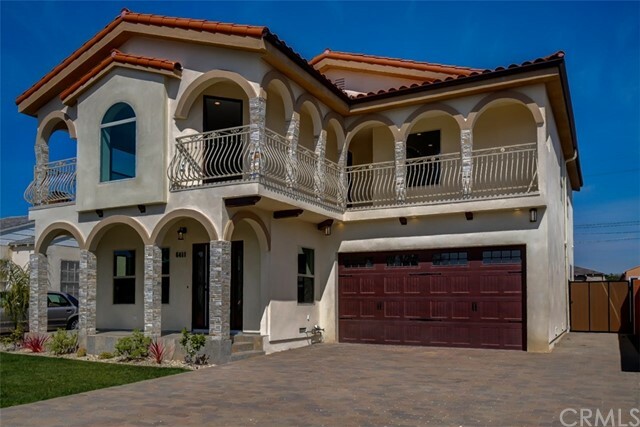 There a"
"This newly constructed home in sought-after Westchester boasts 4 beds & 4 baths and can be purchased with the adjacent new construction 4 bd home which would make an incredible estate! Step inside to a spacious, bright living area overlooking the backyard with hardwood flooring & a showpiece fireplace. The kitchen flows into the family room & is equipped with Viking SS appliances, custom cabinetry & quartzite countertops. Head to the second level to find your master suite, with plush carpeting, fireplace, & massive walk-in closet. The spa-worthy en suite features a walk-in glass shower, separate sinks & a soaker tub. A second master suite & 2 more bedrooms offer plenty of versatile space to enjoy. In addition, this property has hard-wired security, EV car plug in, dual HVAC system and triple pane windows. Live just minutes from the vibrant Westside, LAX, Playa Vista's Runway & Silicon Beach's tech hub." 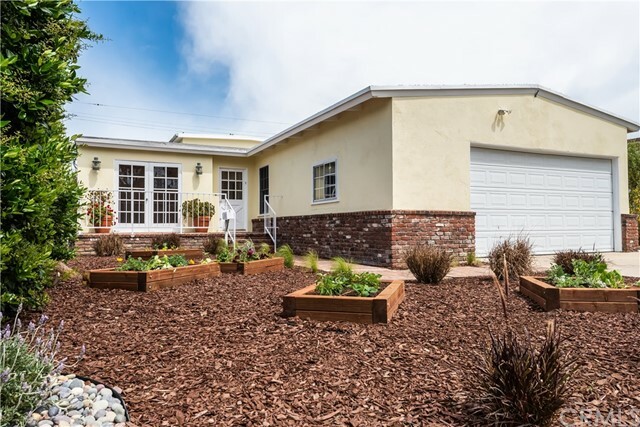 "Go from the beach to your gorgeous open-concept home with front & backyard urban farm. Perfect for family and entertaining this spacious, bright & sunny home is focused around its centerpiece kitchen, dining & living space; vaulted/slat ceilings & gorgeous oak plank flooring run throughout the main floor; great room leads to custom-designed renewable Brazilian hardwood deck w/lush garden area & veritable orchard; chef-designed kitchen features 5 x7 butcher block wood & marble island with 1 of 3 kitchen sinks, 20-bottle wine fridge w/plenty of seating and storage; chrome, double-door/glass commercial Traulson industrial-grade refrigerator, professional chef s rack & commercial-grade 6-burner gas stove with 1 of 3 ovens. Two additional stacked Dacor ovens, Sub-Zero built in freezer drawers w/ice maker, warming station plus a classic fireclay apron sink inside sunny 7 bay window; Travertine marble countertops & plenty of storage space. Kitchen opens to great room w/built-in bookshelves, window bench & hidden cedar storage w/large open dining area w/fireplace; main floor has 2 bdrooms in separate wing with full bath; other bedroom/office has en suite full bath, sliding french doors to deck & backyard; private & spacious master bdr upstairs w/full ba and walk-in closet; backyard urban garden has white nectarine, lemon, lime & apple trees, 2 large above-ground vegetable/herb/flower gardens; low maintenance front yard features 5 raised planters for herbs, vegetables, flowers." 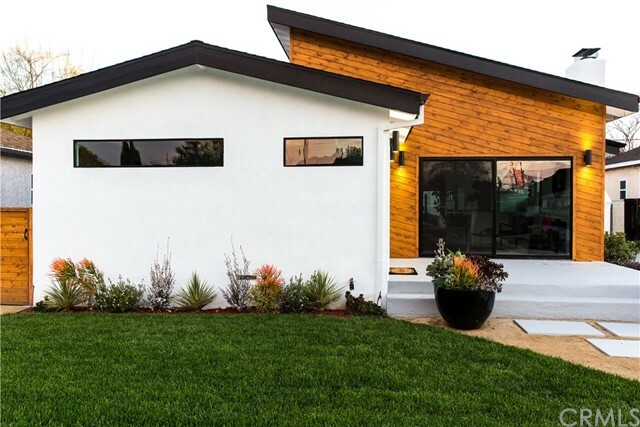 "Set within the coveted South Kentwood enclave of Westchester, the area's first Connect-Home; a modular dwelling built w/ cutting-edge sustainable technology awaits you. Built w/ artisan construction in an ultra-modern design w/ innovative technology throughout, pairs urban design & chic farmhouse finishes. With an open floor plan that seamlessly blends indoor & outdoor living and welcomes a wealth of natural light throughout, the home exudes an inherent sense of ease and harmony amidst its architectural grandeur. The first level features a state-of-the-art kitchen complete w/ top-tier appliances, adjoining dining area, living area and an additional space ideal to utilize as a bedroom or den/office. Upstairs, three bedrooms, two baths and a built in landing office area make up the second level. This Smart Home affords excellent patio space, w/ a large hydro chill turf yard, built-in BBQ ideal for entertaining, custom 2 story garage with massive storage space for all your toys." 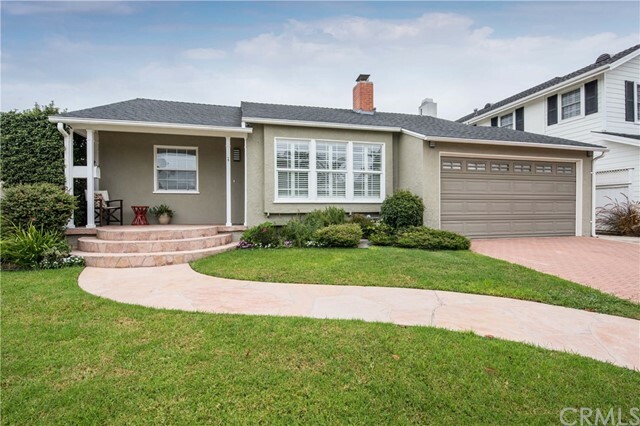 "Completely remodeled spectacular move-in ready 5 bedroom 4 bath home in Westchester. This spacious 2,741 square foot home is perfect for entertaining & intimate family living; large open concept living room w/built in gas fireplace; recessed lights & hickory flooring; living room has direct access to a grassy backyard; a custom office at the entry allows family interaction & work convenience; open concept kitchen has stainless steel appliances; quartz counters, large dining island & shaker cabinets; kitchen opens to a great room & dining area; plenty of natural light throughout home. Four bedrooms on the lower level are convenient and the 5th bedroom upstairs has endless possibilities. Enjoy a large master bedroom with en suite bath sharing the mahogany deck leading to the backyard; upstairs 5th bedroom is so large & versatile it can be a 2nd master suite or a huge game/family room. 2016 upgraded plumbing, electrical, roof; central heat & a/c; customized garage + long driveway."